I hope you're well & getting there with your Christmas Preparations! It's Thursday & time for my Just Inklined project! 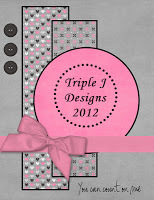 which has lots of exclusive images, papers scrapbook elements & much more! The image I have used is called Christmas Pudding. It does exactly as it says on the tin! the edges are inked with a Colourbox Cats Eye Chalk Inkpad. I received last year. I matted everything onto some gold paper & card-stock. I also added some Diamond Sparkles glitter to highlight. Seems A Little Sketchy for my basic layout but I omitted the embellishments. Thanks for popping in to visit! uber talented ladies of the DT! Stunning Christmas card dawn. Love the backing paper and the image is fantastic. Very pretty and yummy too! Lovely elegant card Dawn...and I just love that paper! Lovely colouring and love that backing paper. Yum! Christmas pudding!! Love your card! It worked beautifully with the current sketch! And thanks for joining us at Seems A Little Sketchy! Ha, ha. I just left a comment for this as a Digi Haven Design Team member but here I am again. I love your card and that image of yummy Christmas pudding! Thanks for joining for the December Christmas Clear it Out Challenge! This is so yummy! I'd love a bite! Thanks for joining us at Seems A Little Sketchy! Lovely card, great layering and traditional image. Thank you for sharing your work with all of us at Crafty Boots Challenges. fab card love your colouring I also have this cd love it. Your colouring of the pud. is great, and I love your choice of background matting and layering. Gorgeous Dawn, I love your choice of background paper. Hi Dawn, Great card, I really like the gold and dark brown background you've chosen for the image. Your coloring is great too. Thanks for playing at Holly Jolly this week. Great card Dawn. I like your design - thank you for joining us at Holly Jolly this week. Love how you matched the inside and outside of the card. Thanks for playing along with UIT! Love it!! I love the layering of similar paper on top of each other. Great job! Thanks for playing with us at Use It Tuesday, especially at this busy time of year.